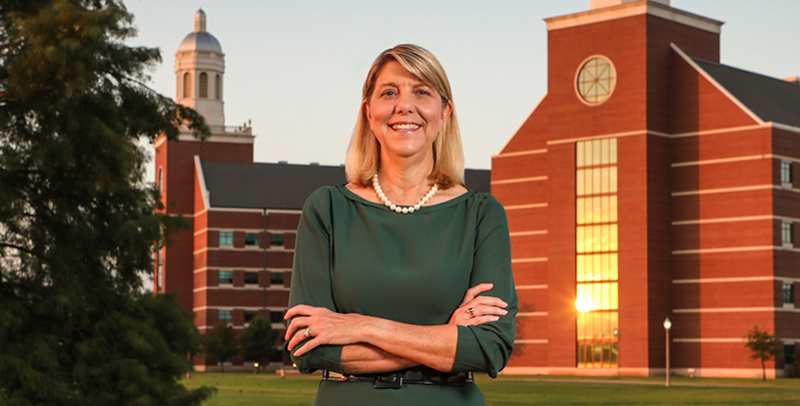 When I returned to Baylor University in 2017 to begin serving as president, after having been away from Texas in leadership roles at other universities for 15 years, I was impressed to find that Baylor had grown and developed in remarkable ways while still maintaining its heart and soul as an unambiguously Christian university. Today, after more than a year as president, I believe Baylor’s increasingly national reputation for excellence in teaching and research, combined with our strong Christian commitment places us in a distinctive and promising position within American higher education. On our campus in Waco and at our academic programs in other parts of the state, across the country and around the world, we are in the midst of launching Illuminate, our academic strategic plan, which puts us on a path to becoming one of the top research universities in the nation. Baylor exists to demonstrate that faith and scholarship go hand in hand. Indeed, we view faith as the very motivation for discovering the richness of creation. It is the basis for engaging with issues in a manner that spans the complete academic and intellectual spectrum. We use the Scripture in Matthew 5 that says we’re to be light to the world and we’re to let our light shine before others. The faculty, staff and students have embraced this idea and understand that we have an obligation to accelerate our pursuit toward preeminence as a Christian research university for the betterment of the surrounding world — not simply to boost our academic reputation. We are striving to serve in new and more meaningful ways across our campus, building on historic strengths and strategically investing in research. In bringing more focus and resources to research initiatives, we are also making sure we retain the foundational principles that define the core of what Baylor is as an institution of higher learning. In particular, we remain resolute in our commitment to students and their safety and wellbeing. We have invested significant resources in staffing and systems that support an excellent learning environment all while continuing to emphasize the transformational undergraduate education that is a Baylor hallmark. We will grow our research profile in a manner that enriches the undergraduate experience and provides students with opportunities for engaged learning. We also are investing in new opportunities for graduate students as we prepare them to be accomplished leaders and scholars in their fields. These efforts include growth of our doctoral programs and focus on both full-time programs and online graduate professional programs — meeting the growing needs of working professionals who are seeking excellent online education that prepares them for career growth. We have already seen tremendous success in our online model, which provides graduate students access to the same accomplished faculty, student support and faith-informed interactions they would find on campus. As our academic strategic plan sets out in detail, Baylor is focusing on key interdisciplinary research areas — designated as Signature Academic Initiatives — in which we already possess institutional assets and through which we believe we will have a growing impact on the world. These initiatives range from expanding programs in health, data sciences and materials science, to understanding factors that impact human flourishing, leadership and ethics and growing partnerships that explore existing and new work along the border and in Latin America. Baylor has been serving the people of Texas and beyond since 1845, and we’re proud of our rich history. We also are excited about our future. Our aspiration to integrate academic and teaching excellence with an uncompromising Christian identity is creating tremendous momentum for Baylor to have an ever-increasing, transformative impact on our students, on higher education, and on the world.